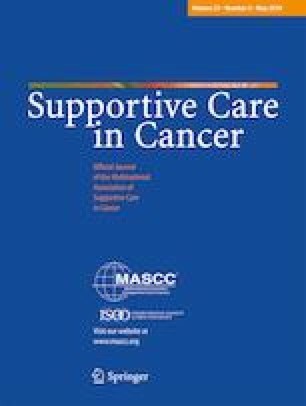 Guidelines for cancer survivors recommend both aerobic physical activity (PA) and strength training (ST). Few kidney cancer survivors (KCS) are meeting single-activity or combined guidelines; therefore, examining factors influencing PA participation is warranted. The purpose of this study is to examine demographic, medical, social-cognitive, and environmental correlates of meeting independent (i.e., aerobic-only, strength training (ST)-only) and combined guidelines (i.e., aerobic and ST) in KCS. KCS (N = 651) completed self-reported measures of PA and demographic, medical, social-cognitive, and perceived environmental factors. Built environment was assessed using the geographic information systems (GIS). Multinomial logistic regressions were conducted to determine the correlates of meeting the combined versus independent guidelines. Compared with meeting neither guideline, meeting aerobic-only guidelines was associated with higher intentions (p < .01) and planning (p < .01); meeting ST-only guidelines was associated with higher intentions (p = .02) and planning (p < .01), lower perceived behavioral control (PBC) (p = .03), healthy weight (p = .01), and older age (p < .01); and meeting the combined guidelines were associated with higher intentions (p < .01), planning (p = .02), higher instrumental attitudes (p < .01), higher education (p = .04), better health (p < .01), and localized cancer (p = .05). Additionally, compared with neither guideline, meeting aerobic-only (p < .01) and combined (p < .01) guidelines was significantly associated with access to workout attire. Compared with neither guideline, meeting aerobic-only guidelines was associated with proximity to retail (p = .02). PA participation correlates may vary based on the modality of interest. Interventions may differ depending on the modality promoted and whether KCS are already meeting single-modality guidelines. GEF is supported by the Canadian Institutes of Health Research-Public Health Agency of Canada (CIHR-PHAC) Chair in Applied Public Health. KSC is supported by the Canada Research Chairs Program. We thank Carol Russell and Lorraine Cormier from the Alberta Cancer Registry for their assistance in conducting this study. Ethical approval was obtained from the Alberta Cancer Board Research Ethics Board and the University of Alberta Health Research Ethics Board.